By: Dr. Anna Marie Mazoch, D.D.S. April and May are Oral Head and Neck Cancer Awareness Months, sponsored by the Oral Cancer Foundation (www.oralcancerfoundation.org) and Head and Neck Cancer Alliance (www.ohancaw.com) and supported by film star Michael Douglas. 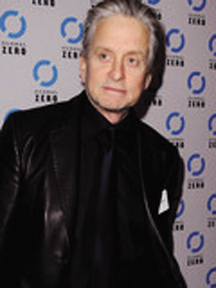 You may know that academy award winning actor and producer, Michael Douglas, had throat cancer. What you may not know is that his cancer started at the base of his tongue, an organ of the mouth routinely checked during an oral cancer examination. Dr. Mazoch goes on to recommend that everyone should receive at least a yearly oral cancer examination, and this includes patients who are missing some or all of their teeth. however, most oral cancers are found in their late stages, resulting in death for NEARLY HALF of those diagnosed. And there are 100 new cases of oral cancer diagnosed every day in the United States. Dr. Mazoch has provided dental care to Milltown area residents since 2001. She earned her undergraduate degree at Ohio University and her dental degree at Northwestern University in 1979. Annually attending many continuing education courses enables Dr. Mazoch to stay at the forefront of her profession so that she can provide optimal care to her patients. She regularly attends courses focusing on periodontics, implants, orthodontics, cosmetic procedures, and new technology so that the most current treatment options are available to her patients. Go to www.drmazoch.com or call 302-998-9594. Located at 2601 Annand Dr., Suite 18, Wilmington, DE 19808.
on Saturday, April 16, 2011 from 10:00 a.m. to 12:00 noon. ← Previous Story Sleep Apnea Anyone? Next Story → What Is Cosmetic Dentistry?